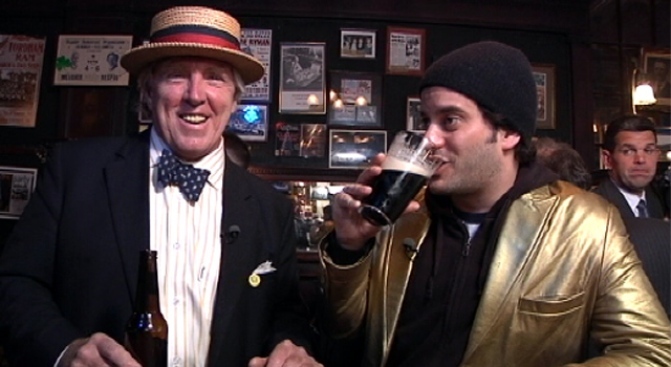 By MICHAEL NATHANSON AKA "THE GOLDEN LOCAL"
Co-owner Gerard Meagher sits down with Mike the Golden Local for a beer. The third installment of the Golden Local competition was a tough one. As any local knows, New York City can be a stressful place to live and work. And even the bastion of taste needs a relaxed place to unwind after a long hard day of being Golden. And the place you choose to drink says a lot about your personality. 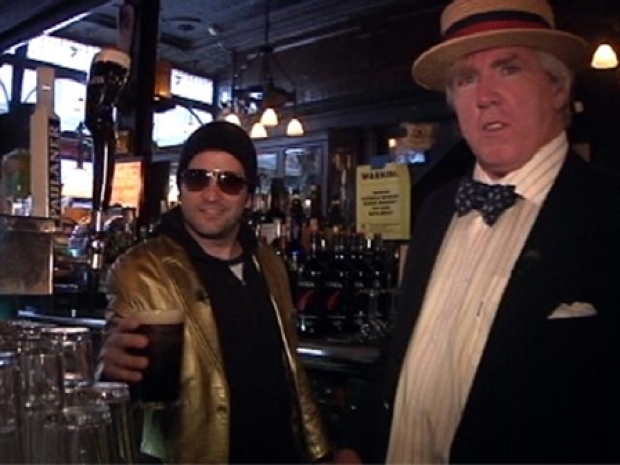 This go 'round, the Golden Local competition was to determine the best "old" bar in New York. The battle pitted famed watering hole McSorley’s Old Ale House against the relative new-comer Old Town Bar. Ultimately, the Old Town Bar, in the Union Square neighborhood, with its laid-back atmosphere, welcoming ambiance, fantastic pub food and expertly poured drinks prevailed. Old Town Bar proved to be true to its name by winning the battle of the city's oldest bars to secure the vaunted Golden Local human trophy. Even Mayor Bloomberg celebrated the triumph, writing an official letter to the establishment to be framed on the wall, congratulating them on their victory, and what an honor it was for them receive yours truly. Not too shabby for the GL, huh? Old Town Manager and co-owner Gerard Meagher was beaming from ear to ear as soon as I walked into his establishment. He claimed he hadn’t slept in weeks, worrying whether they would take the coveted Golden Local trophy. Meagher described the contest as an “inter-family battle” as the owners of McSorley’s (the Mahers) share their name (apparently they’re distant cousins -- yet with fewer letters).